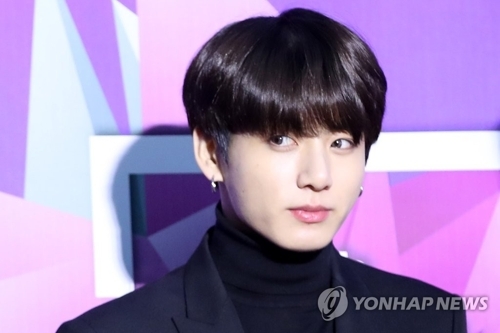 SEOUL, Oct. 10 (Yonhap) -- Jungkook, a member of South Korean boy group BTS, burst into tears at the group's London concert Tuesday (local time) as a heel injury forced him to sit down while performing. He had to sit out the group's choreography after hurting his heel hours before the performance at O2 Arena in London, according to his agency, Big Hit Entertainment. The situation made him emotional, so he occasionally wiped off tears while performing songs seated and burst into tears, burying his head in his arms, at the end of the show. But fans erupted in cheers and chanted "It's OK" and "Don't cry" while his fellow group members comforted him. 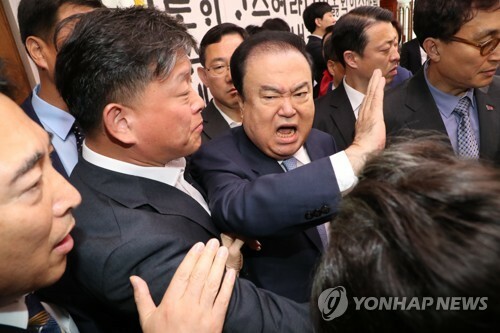 "I prepared an English comment for today but came to speak in Korean with all my heart to let you know of an incident that abruptly happened to me," Jungkook said in his closing comment. "Thank you for making me really happy on this stage. I pledge that what I went through today won't happen again." Jimin said, "I think you might worry about Jungkook, but please don't worry too much because he will get better soon." When he asked the fans to chant "Jungkook, we love you" so he wouldn't have to cry again, the audience chanted the phrase in response. Earlier in the day, Big Hit Entertainment released a statement to inform fans of Jungkook's injury. It said: "Approximately two hours ago, following the rehearsal and sound check, Jungkook was lightly stretching in the waiting room when he collided with floor furnishings and suffered an injury to his heel. Medical staff immediately responded and performed the necessary treatment. The opinion of the medical team is that while the injury is not serious, performing choreography may do further damage to the injured area. Following the advice of medical staff, Jungkook will take part in the performance tonight but remain seated without choreography."